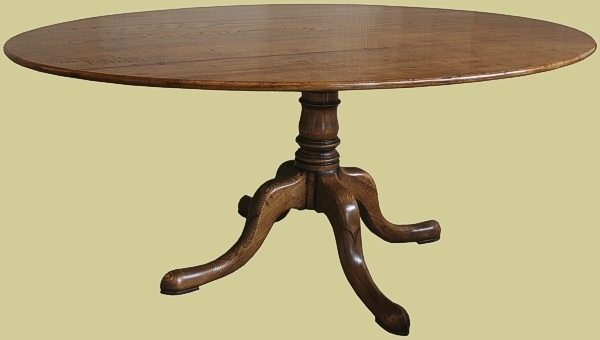 Round and oval dining tables, all handmade in solid oak and cherry (fruitwood) from our Chalvington and Wilmington bespoke dining furniture ranges. 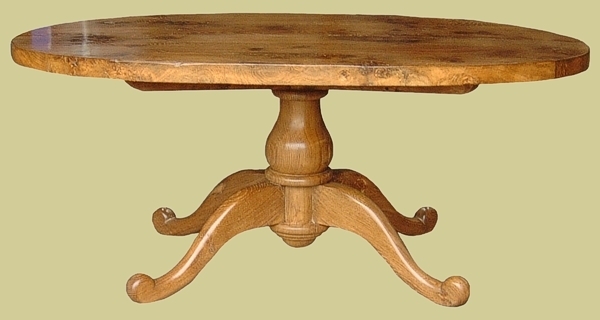 We can also make in rarer woods such as elm. 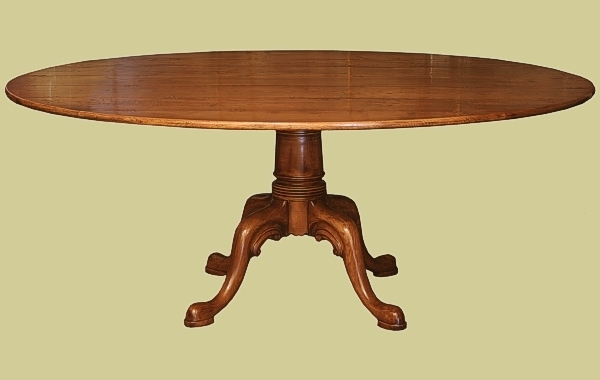 Considered perfect for a social gathering, choose a round table for a square room and an oval table for a rectangular shaped room. 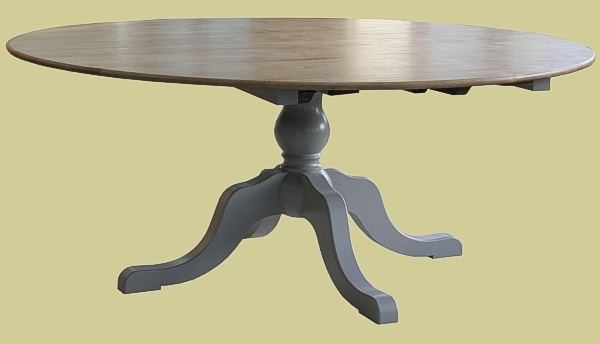 The largest practical diameter of 183cms will seat eight people comfortably, but one of our round tables extends, (see circular extending dining table) by inserting two loose leaves in the centre, and this will seat up to fourteen people in its larger size option. 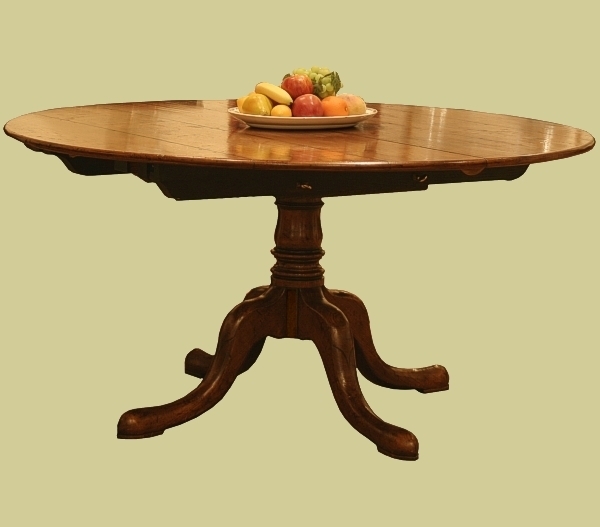 We currently have one of these beautiful tables in our showroom. 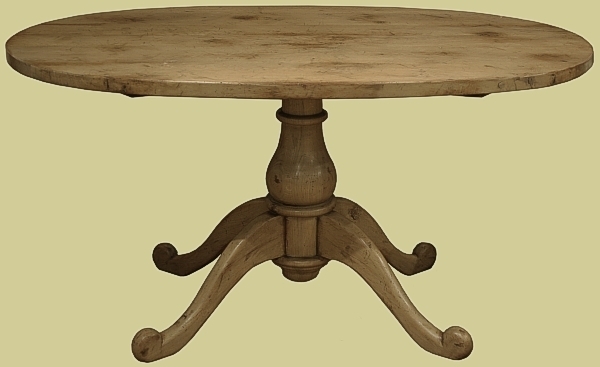 Round tables also make superb centre pieces in large halls. 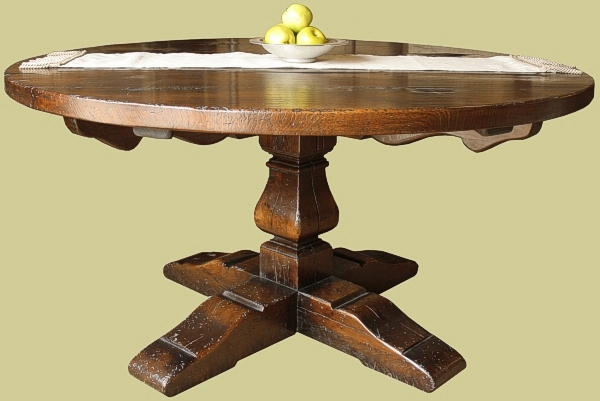 We have a number of designs, ranging from medieval, through 17th century to finer 18th century styles. We can also make to your own designs or copy early original examples. 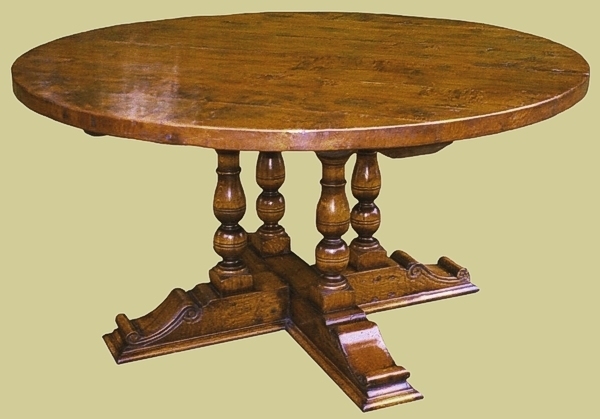 Do contact us to discuss your requirements. 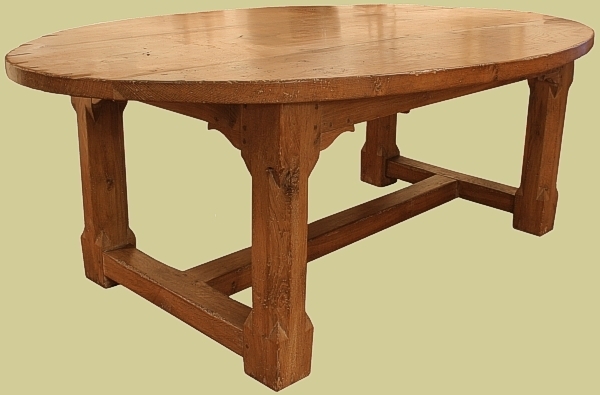 What exactly is a Refectory Table?